Congratulations on landing your first real job! Before you get caught up in your work, take some time to navigate your surroundings. Now that you you’re successfully navigated the interview and hiring process, you get to take a big step forward in your career by starting it. Or, if your job isn’t exactly in your career path, at least you’re working. 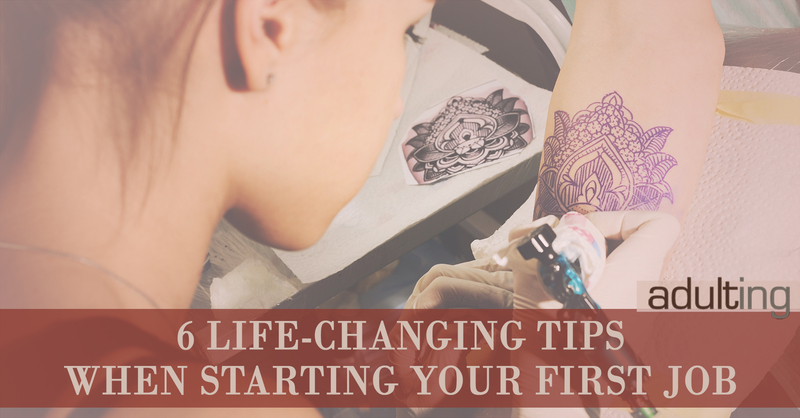 Before long, all of your job’s roles and responsibilities will be clear, and you’ll start making your mark. You may get a little overwhelmed with your new environment, so take some time now to deal with some of the tasks that are essential at the start of your first real job. Ignore these tasks, and you will miss opportunities to set yourself up for long-term success. Don’t blow it. 1. Get a true sense of your take-home pay. Surprise! Your paycheck is a lot smaller than you expect it to be. A $40,000 salary after federal, state, and local taxes might leave you with only $500 a week. For reals. Even less will end up in your pocket if you have an automatic enrollment in a retirement plan. You may get some of the money withheld for taxes back when you file your tax return, but your net pay, what you take home, is what you should focus on right now, not your salary. 2. Figure out your new budget. Now that you know how much income you really have to work with, write down your new budget. Start with the things you need, like your rent or mortgage payment, your food (groceries), and your transportation to and from your workplace. Set aside as much as possible for savings. You’ll need something set aside for emergencies. Then try to fit in some of the luxuries, like dining out, entertainment, vacations, and nicer clothing. If you can. If you can’t, just hang on for now. You can’t have everything you want in life the moment you start your first real job. Read this article to see how to make a budget based on priorities. Once you make the budget, track it, so you stay within its limits or realize that you need to change your assumptions about your spending. 3. Open bank accounts if you don’t have any. It still surprises me how many newly-minted grown-ups don’t have bank accounts. When you get paychecks for working, not cash, you need to have at least one bank account, a checking (debit card) account. Don’t take your paychecks to check-cashing places or Walmart. They charge fees that add up quickly. Instead, find a free checking account with free debit cards. You might want to check with whatever bank has a branch closest to you, and ask about free checking and free debit cards, but some communities don’t even have any bank branches. It might be easier to just go online. Ally Bank and Capital One 360 are two of my favorite free online checking accounts. Once you open your checking account, you can tell your supervisor or human resources department at work that you want to set up a direct deposit. Your paycheck will be sent directly to your bank, so you just use your debit card when you need to pay for anything or go to an ATM when you need cash. 4. Invest some of your income. If you don’t start investing right now, you will always be trying to catch up. First, make sure you’re enrolled in your company’s retirement plan, if the company offers one. If the company doesn’t offer a 401(k) plan, a 403(b) plan, or anything else, you’ll have to start investing on your own. Put money aside for a few months, and open a retirement account at Vanguard. Choose a Roth IRA if you already have a plan at work, or a traditional IRA if you don’t. Invest in a broad index mutual fund, like the Vanguard Total Stock Market Index Fund (VTSMX), for now. It’s a low-cost way to save for retirement, and keeping your costs low is the most important factor in building wealth over the long term. 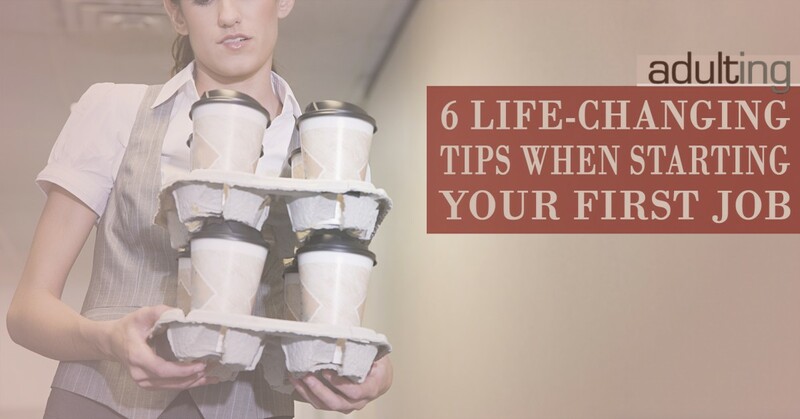 Your employer may offer some benefits, including health insurance, disability insurance, life insurance, free lunches, a weekly chair massage, or personalized humanoid robot butlers. You’ll only find out what you get by reading all the information you receive your first few days on the job. If you have a choice, and you might for something like health insurance, review the information carefully and ask around for advice. It’s good to know what your health insurance options are, and what’s covered, in case you need to use them. 6. Learn about your company’s culture. Getting ahead and succeeding in your job isn’t just about your job performance or doing all that is expected of you. You’ll also need to be able to fit in — without losing your individuality, of course. Spend lots of time with your coworkers. Observe how people behave and present themselves on the job and listen carefully to important discussions. Look for the clues, both subtle and obvious, that will lead you towards making a good impression. Much of this is based on mimicking the behavior of the more successful people at your level. Use this time exploring the culture to work on your communication skills (ask questions!) and build relationships with people in your workplace. The most important thing about getting started is not to expect to be treated like a superstar on your first day on the job. You’re a unique snowflake, that’s for sure, but so is everyone else. As the new girl or guy, you have to put in time and effort before you are able to reap the rewards of great benefits, a salary that reflects your worth, and personal freedom. You’re not entitled to the best of what your employer (or life) has to offer just by showing up, but when you put in the hard work and prove yourself, success will find its way to you much easier. After some time.